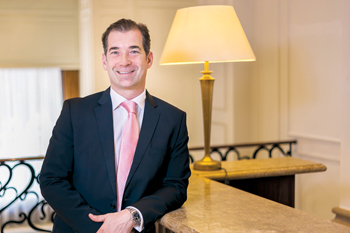 Corinthia Hotels has recently appointed Maltese-born Jean Pierre Mifsud as general manager of its iconic Grande Dame hotel in Budapest. 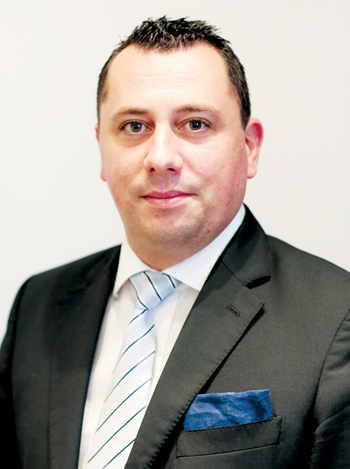 Mifsud takes over from Thomas M. Fischer, who has been appointed general manager of Corinthia London. TTN interviewed both the two newly appointed general managers on their insight into Mice business. 'We are fortunate enough to inherit a gorgeous history. I can proudly claim that Corinthia Hotel Budapest is the ultimate venue in Budapest for hosting Mice events. The whole idea is that we would like to deliver exactly the same experience to every guest, regardless the reason of their stay,' says Mifsud. First opened in 1896 as the Grand Hotel Royal, Corinthia Hotel Budapest remains one of the grandest hotels in the city, with an imposing neo-classical façade and soaring six-storey glass atrium. Meticulously renovated in 2003, following its acquisition by Corinthia Hotels, the property houses 439 luxurious rooms, including 31 suites and 26 apartments. The newly refurbished Executive One-Bedroom Suites meet the highest expectations of luxury leisure and high-end business travellers. 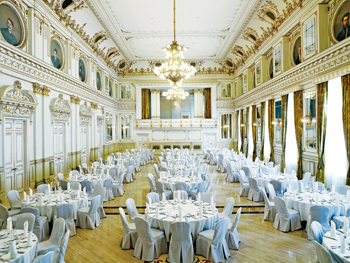 However, the Mice highlight of the property is the majestic Grand Ballroom with the very same interiors as the year of the hotel’s inauguration in 1896. 'It is simply breath-taking to enter the wonderful place full of history,' says Misfud. 'The Valletta Exhibition Centre is a showpiece of 21st century architecture and technology offering over 740 sqm of superb event or display space. 'The Valletta Conference Centre can be partitioned to create up to 12 syndicate rooms or opened to create large event spaces with break out and refreshment areas. The two centres can easily be linked to support a more imaginative, large-scale event. Housed within a Victorian building, Corinthia Hotel London features 294 rooms, including 40 suites and 7 penthouses, offering sweeping views across London’s most popular landmarks. The hotel boasts some of the largest room sizes in London, original restored Victorian columns and tall windows that let in swathes of natural light. Throwing light on the Mice facilities, Thomas Fischer, newly appointed general manager of Corinthia Hotel London, says: 'With a dedicated event planner on hand, our suite of six meeting rooms on the Mezzanine floor or the beautiful Ballroom with the original ornate ceiling and the Courtroom overlooking the Garden Lounge, you are sure to find inspiring venues throughout the hotel. Incorporating the most stylish private dining rooms in London with up-to-date technology, personalised service and the finest cuisine, this hotel can offer you a truly unique and memorable experience. Corinthia Hotel London enjoys an enviable location amidst all of the capital’s sights as well as easy access to shopping areas such as Mayfair and Knightsbridge as well as walking distance to Theatreland. 'Mice provides a constant stream of business, which helps us maintain a good base all year round but does, in volume, not match leisure travel,' says Fischer. So, what are some of the most important considerations of hosting Mice guests, from a hotel’s point of view? 'It is all about catering to their needs from the moment the enquiry comes in,' says the general manager. 'Asking the right questions, responding in a timely fashion, anticipating their needs and careful and thorough planning will all make for a successful time at the hotel. 'Naturally, all the operational staff need to be tuned into how a group operates differently to an individual guest and adjust accordingly. We ask the general manager: How can tour operators cooperate better with hotels to make more profitable bookings? 'The world of tour operators is changing and the old model of contracting rates almost 18 months out with a constantly changing market, seems to be replaced by more and more tour operators also operating a direct connect model allowing them to be competitive in today’s fast-paced environment. While hotels enjoy the longer lead time, with end consumers now having access to a plethora of booking facilities, the lead times are shrinking and certain consumers become shoppers.